You may be contemplating building your own website and you may be considering signing up to build a WordPress website. Have you “Googled” WordPress websites and have seen two things: WordPress.org and WordPress.com? Confusing, huh? Gliffen Designs builds A LOT of WordPress websites for so many organizations and businesses. There are currently 74,652,825 sites out there as of today. And it’s pretty popular free-source platform that business, organizations and individuals can take advantage. 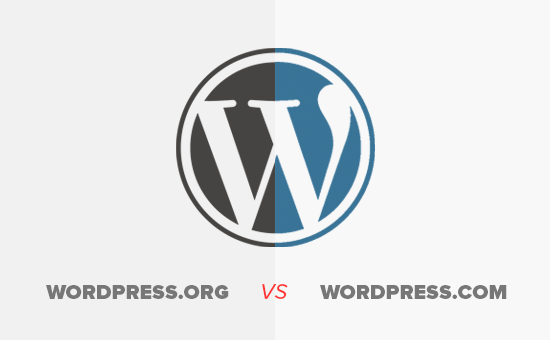 When looking at a side by side comparison between WordPress.org and WordPress.com, WordPress.org is more favorable, here is a infographic we found that can help you come to that conclusion as well. See Gliffen’s reasons too, just below this rather long infographic.. Customizing Theme – You are able to customize your theme with Gliffen Designs because it’s a free-source platform, allowing our web developers to get in there and customize the look and feel of your site to match your branding for your business or organization. Plugins – Just in case you aren’t familiar, plugins is what make WordPress worthwhile. There are FREE and PAID plugins that you can install but this is what you call the “bells & whistles” that you want and honestly need to make your WordPress site more than just a basic blog. Customized Plugins – Gliffen Designs builds their own plugins, the advantage of this is we can debug issues that may arise with core WordPress updates that are rolled out monthly. SEO Features – Search Engine Optimization is a term you’ve read about, these features that you can take advantage of through Plugins allow for your WordPress site to be seen the best on search engines. E-Commerce Store – Not our #1 choice for e-commerce solutions but for a basic e-commerce site it does the job. Diagnosable Website – When someone comes to us saying “fix this” we may not be able to because it completely depends on how the site was built. If the site was build with WordPress.org we are more likely to be able to! Read about Heather DeVine’s Tips and Tricks for Building a Website presentation. Ask Gliffen Designs on how we can best help your business or organization. We are excited to help get you off the ground with WordPress websites or otherwise. Graphics in this blog are provided in agreement and courtesy of wpbeginner.com.